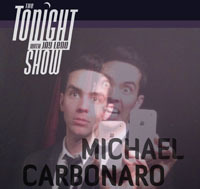 Magician/actor Michael Carbonaro returns to The Tonight Show with his third installment of "hidden camera" magic. Previous spots aired on July 28th and September 15th, and can be viewed athttp://www.hiddencameramagic.weebly.com. The Magic Castle — Closed! 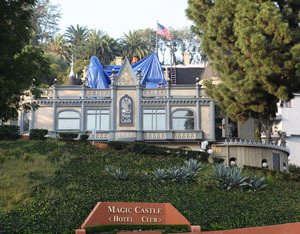 The Magic Castle is currently closed to business as a result of a fire on Halloween afternoon. While the blaze was limited to the attic and upstairs offices, water damage extended down to portions of the second floor dining room, the main bar, and the basement pub. While not official yet, it is suspected that the fire was caused by hot roofing that was being done that day. Estimates are that the club will reopen within a week, possibly on a limited basis.